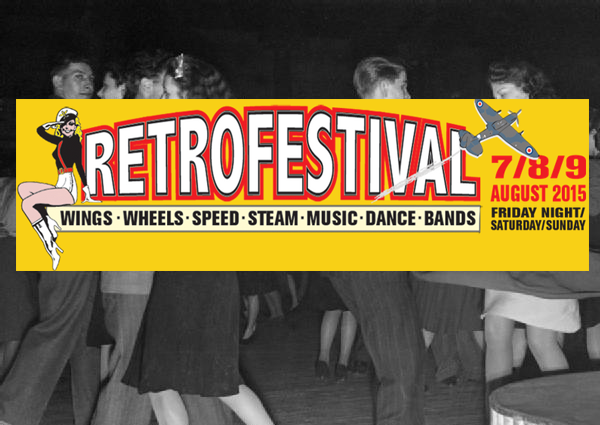 If you fancy a rip-roaring weekend for all the family to enjoy then look no further than RetroFestival 2015! There is plenty to see and do with a vintage & classic vehicles arena (1000 + vehicles), live music all weekend, dance floors, show arena, Aerobatic flying displays and Vintage Fairground. All the details on the stages and acts can be found here. You also have the opportunity to win a Triumph Bonneville T100, Steve McQueen special edition!! RetroFestival are holding a raffle to raise money for Childrens Cancer so get your raffle tickets online or at the show, and get ready for the Grand Auction too! Unfortunately the campsite is now Full. Full information on how to book your tickets for the festival, helicopter rides and hair salon can be found on the site www.retrofestival.co.uk.